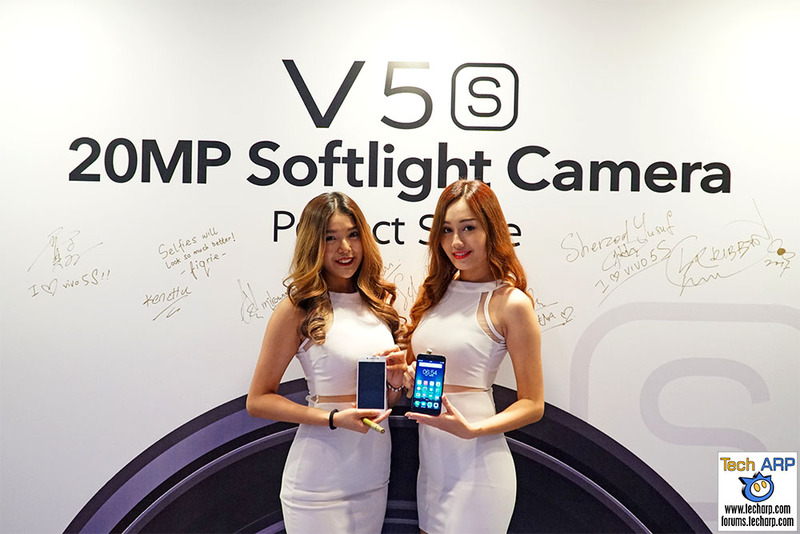 On 3 May 2017, vivo officially revealed the vivo V5s. Dubbed as the “Perfect Selfie” smartphone, it boasts an incredible 20 MP front camera with a dedicated soft LED flash. Check out the star-studded launch event, and get briefed on the vivo V5s price and availability, as well as its key features! Don’t forget to check out our hands-on preview of the vivo V5s! The vivo V5s launch kicked off with an amazing drum performance. Check it out! Then Winston Wu, vivo Product Manager, gave a presentation on the key features of the new vivo V5s “Perfect Selfie” smartphone. The vivo V5s is equipped with a 20 MP Sony IMX376 sensor with f/2.0 aperture and an updated Selfie Softlight. It also comes with the Face Beauty 6.0 and Group Selfie that allow you to create better selfies and wefies. The vivo V5s comes with 4 GB of memory and 64 GB of internal storage. If that is not enough, you can add a microSD card for up to 256 GB of additional storage. The vivo V5s also offers the App Clone feature, which allows you to use up to two accounts to log into the same social media apps. Current supported apps include WhatsApp, Line, BBM, WeChat, Zalo and Viber. The vivo V5s boasts a 32-bit Asahi Kasei AK4376 DAC with headphone amplifier. The AK4376 is capable of achieving -106dB THD+N and 125dB SNR. The vivo V5s will come in three colour options – Matte Black, Gold, and Rose Gold. It will be available for pre-order on 3rd May, 2017 with the retail price of RM 1299 (GST inclusive) / ~US$ 289. The vivo V5s will officially go on sale in Malaysia on 10 May 2017.